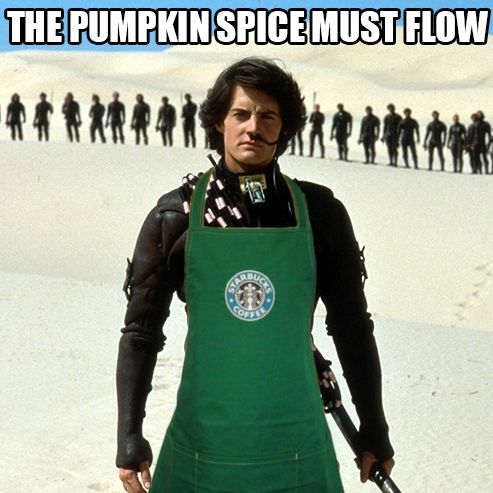 You just can’t get away from a pumpkin spice joke this season: so ubiquitous on every corner. Or more like in every food we see in the store beside the coffee drink. Sometimes I think about Frank Herbert’s Dune, where the Arrakis spice or melange turned user’s eyes blue over regular consumption. Makes you wonder if melange makes glowing blue eyes, would pumpkin spice cause eyes to glow orange? This is the kind of stuff that makes me chuckle in the middle of the day. But yeah, cold weather is approaching and the opportunity to wear a coat is coming closer for me. The best weather for my creativity. Sure wish it was raining more where I live. Good news is the plot issues in Ghost Factor are dealt with. Now, sub-plotting and drafting run smooth. It is still a long road until I say that the draft is done. I know I’m learning my lesson from this mess. So two weekends ago I went my third trip to Las Vegas for SiglerFest every fall, a small convention/party of an author friend Scott Sigler. There was much laughter, beer, and friends I haven’t seen in a while to go around, but still had time to sit down to write. And yes, I know. This was Columbus Day weekend. This was the weekend after the shooting massacre. It was hard to stomach what happened that night, knowing that in three days I’ll be in that city. And well… let me draw you a picture. Early Thursday morning, well before sunrise, with coffee and breakfast sandwich to go. The trek to the city in the desert is known by heart; head east until the 15 freeway, then head north until the city lights are in view. A quick stop in Barstow, Baker, and a rest stop to get the blood flowing. By the time it was around 8:30 or 8:45 the city was coming to view around the mountain corner. Then a massive wave of nausea, anxiety, dread, sadness, and depression came over me I lost my attention to the podcast on the stereo and believed the breakfast sandwich was tainted. But no. It was the city. The feelings of that dreadful night hung thick in the air. I breathed a few times, drank some water, a turned the A/C up a couple notches. The Mandalay Bay jumbotrons and others along the highway didn’t display shows or nightclub ads, but condolences and heavy hearts. I got to the hotel room that morning and expelled those feelings. When the first drink of the night and seeing old friends from last year and always enjoyed their company, I never forgot the lives lost. It was tough to come close to the Strip, even see those busted windows overlooking the road. In other words: my heart goes out to the loved ones of the tragedy. Friggin’ psychos. Ending this entry on a bad note is hard, but it’s what I wanted to say about it.